New York, NY (April 30, 2017) – Capital One announced today that it has provided a $60 million leasehold mortgage to The Davis Companies (TDC), allowing it to acquire 88 Black Falcon Avenue, two, three-story interconnected buildings totaling 376,000-square-feet within the Seaport District’s Flynn Cruiseport Boston, near the Raymond L. Flynn Marine Park. 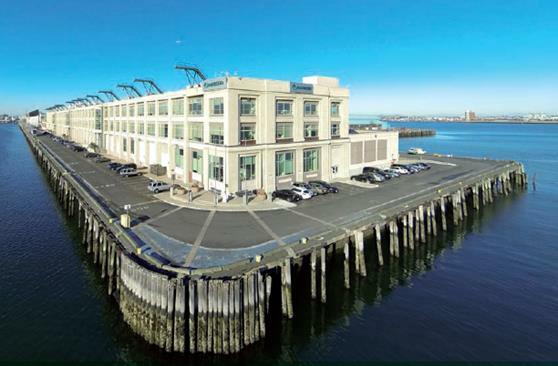 TDC plans to make substantial improvements to the office and industrial building and surrounding Harborwalk to add vitality to the dynamic growth occurring in this area of the Seaport. 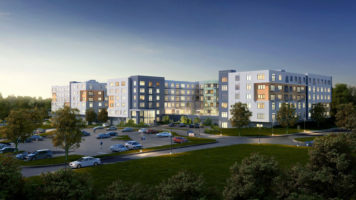 Planned improvements include upgrades to the building’s common areas, bathrooms, elevator lobbies, entrances, and existing restaurant / café, as well as creating a brand-new fitness center complete with showers, lockers, and bike rooms for storing and repairing cycling equipment. Lisa Greeley, a Senior Vice President in Capital One’s Boston office originated the transaction. 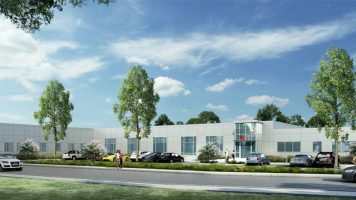 The property is currently 94 percent leased, with 17 office tenants and 18 industrial and water dependent tenants. It’s adjacent to the 1.4 million-square-foot Innovation and Design Building, home of the Boston Design Center, which was previously owned and renovated by The Davis Companies. TDC is an integrated real estate investment, development and management firm headquartered in Boston that has invested more than $4 billion in gross asset value through real estate equity, debt, and fixed-income securities. Directly, and with its valued partners, the company currently owns a real estate portfolio of approximately 12 million square-feet across the Eastern United States. With billions of dollars of public and private investments in recent years, and more than six million square-feet of under-construction and board-approved development, Boston’s Seaport District is undergoing a significant transformation from its industrial and maritime roots into a vibrant, mixed-use neighborhood with apartments, office space, restaurants, hotels, and a convention center. Projects such as Seaport Square, a five-million-square-foot project with residential, office, retail, and hotel properties, have brought more than 9,000 jobs to the area in recent years. Capital One Bank’s Commercial Real Estate Group offers a comprehensive array of financing solutions for property owners and developers nationwide, including balance sheet and agency lending. Additional information can be found at www.capitalone.com/cre.